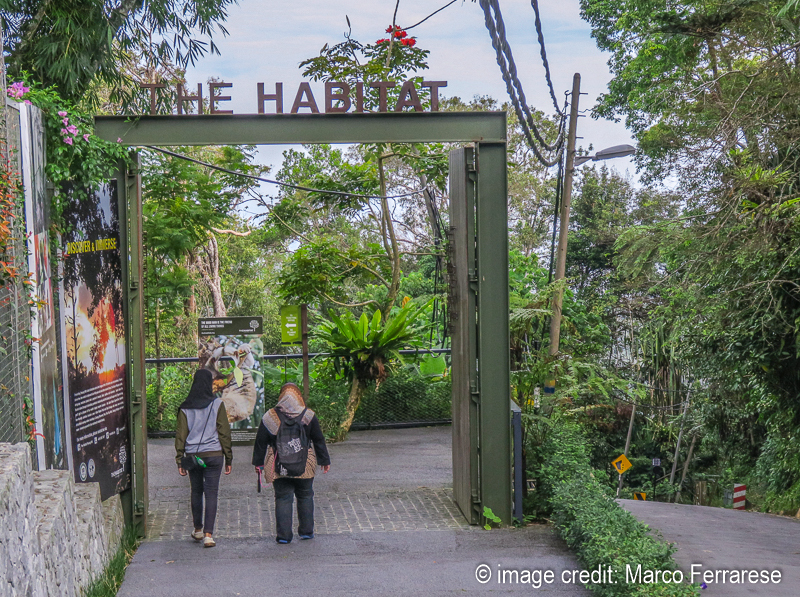 The Habitat is an interesting nature walk set on top of Penang Hill. It's a chance to visit a 130-million-years-old section of the hill that's been rarely visited and not very much developed. Here are seven reasons why you should visit now. Until last year, I kind of despised visiting Penang Hill. Why? For sure, it’s a great and easy place to go have a feel for Penang nature, which is another of the island’s draws, besides its great food, exciting nightlife, and glitzy shopping malls. But the development on the top of Penang Hill is simply ridiculous. Instead of emphasizing the natural habitat of Penang Hill’s oldest remaining rainforest, developers have steamrolled concrete paths everywhere, preferring to offer lame selfie opportunity spots, rather than provide an immersion in what matters most on Penang Hill: nature. Luckily for visitors, since the year 2017, not all is lost. The backside of the hill has seen very interesting developments as of late: you will find them at the Habitat Penang Hill. Following an old drainage path built by the British Colonizers in the 19th century, Penang’s latest eco-park offers a walk along some of the island’s oldest rainforest – a staggering 130-millions-year old. It also has a bridge over the forested valley below, and the first 5-course zipline on Penang Hill. We certainly recommend it to families among the best things to do in Penang with kids. The Habitat Penang Hill price is 50RM per adult per day. This means that your ticket will guarantee multiple entries for the whole day of purchase, from 9.30 am to 6 pm. There are also monthly and yearly pass options that will reduce the cost quite a lot. You can buy advanced tickets from Klook, a popular travel ticketing portal in Southeast Asia that accepts major credit cards and we have used with success in the past. Buy your Habitat advanced tickets here. The Habitat Penang Hill offers a guided walk conducted by professional local guides who will give you great insight on the local flora and fauna – indeed the park hosts giant black squirrels, colugos (better known as flying lemurs), dusky leaf monkeys, and other small jungle critters. 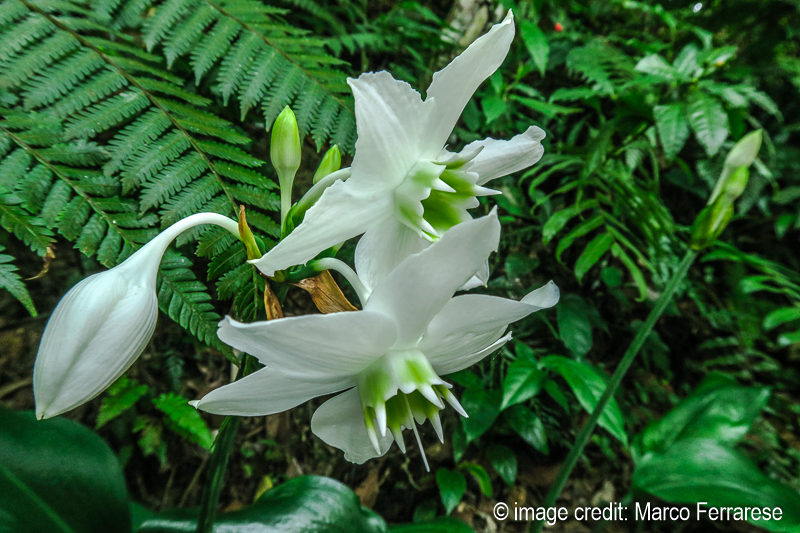 Why visit the Habitat Penang Hill? There are quite a few reasons why you should bring your family and kids to the Habitat Penang Hill, but we’ll tell you the 7 things we like the most. Face it: everyone loves swings. And even more, if they are giant, wooden, and overlooking a beautiful patch of Penang rainforest that rolls down green hillslopes. Did I mention the sea, beautiful and blue on the clearest days, and views that stretch as far as Kedah? 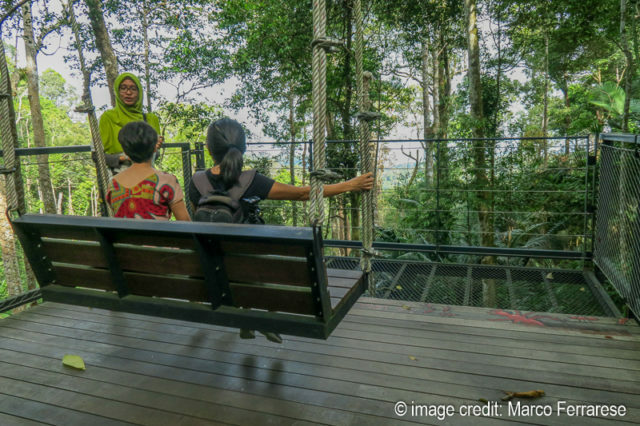 If you have thought long about where to go on your next special date, one of the Habitat Penang Hill two giant swings may as well be the perfect place to spend some romantic time. Just keep in mind that you’ll be under the watchful eye of local monkeys, hidden in the canopy all around. Opened in December 2018, Flight of the Colugo is the first zipline on top of Penang Hill, and set inside of the Habitat. 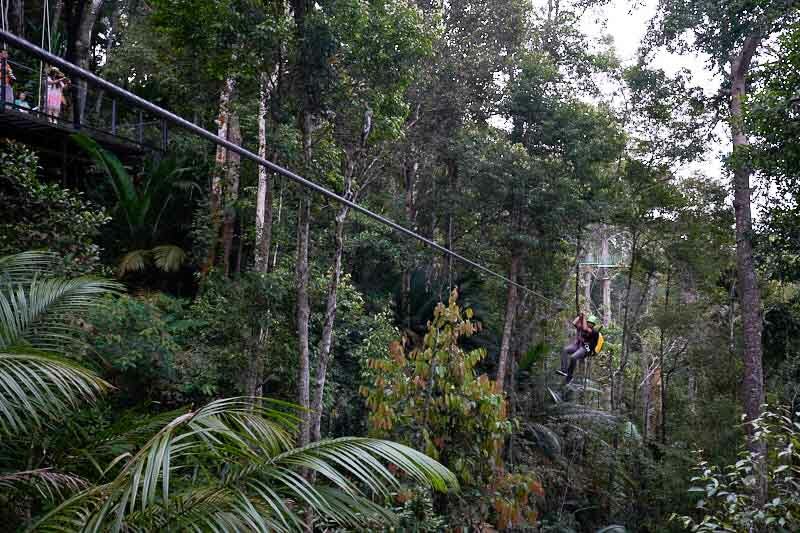 It has 5 jumps, including an 80mt-long single tandem zipline, the “Honeymoon Zipline”, that can be done in pairs and as a single course teaser for only RM32. The full course, consisting of 5 ziplines, one abseil, and one suspended rope bridge with a nature guide, costs RM105 (including tax) and takes about one hour to complete. It’s a great chance to observe the forest canopy from the airborne perspective of local jungle critters like the flying lemur (colugo) from which the zipline takes the name. We have a full review of the experience here. If you have never seen the forest up close, and are not afraid of heights (Flight of the Colugo has a maximum height of 26mt), this is definitely a great reason to come to the Habitat. The beauty of taking a stroll at The Habitat is to be close to nature. Truth be told, you won’t see scores of animals here, but the flowers and trees are plentiful enough to make many stops along the 1.2-kilometre pathway. The guide who’ll accompany you will be great in pointing out all the special characteristics of trees, insects, and flowers along the way. Any visit will be a real chance to dive deeper into a part of Penang that, unfortunately, many visitors forget in favor of boutique hotels and cafés. 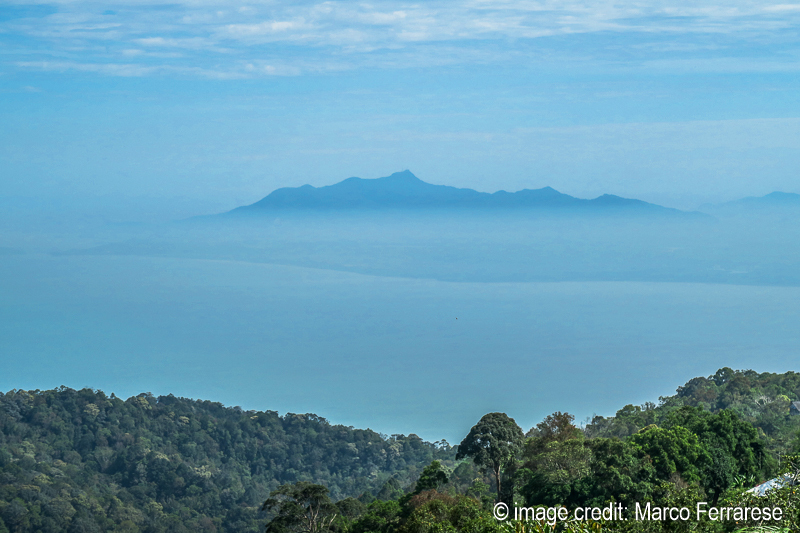 Tell me that you, too, expect this kind of views from a tropical island… we have finally found them at the Habitat Penang Hill. Yes, Penang Hill has great views almost from anywhere you look. But with all the food outlets, people moving about, buggy carts speeding up and down, and the hordes of selfie-stick-toting tourists traversing the paths, you’ll have to compete elbowing your way across the view deck. But since the Habitat Penang Hill is on the opposite side of the hill from George Town, set high above the Botanical Gardens, it offers much more rewarding views. When I visited last, the outline of Gunung Jerai in Kedah soared out of the blue like a phantom peak. And, of course, there were no other tourists wielding no selfie-stick in my face. Priceless, isn’t it? Remember two things: first and foremost, the jungle is at its best in the early morning, especially if you are a photographer. Try to come when The Habitat opens at 9.30 am to enjoy the park with quieter – weekday mornings are particularly good. Also, you may want to know that with a Malaysian MyKad, the funicular train that brings visitors up the hill only costs 3RM between 6 am and 9 am, or 7 pm to 11 pm. Early birds will catch a sweet deal – instead of shelling out 10RM for a roundtrip, or an exaggerated 30RM if you are a foreigner. A walk on the Curtis Crest is the Habitat’s best. 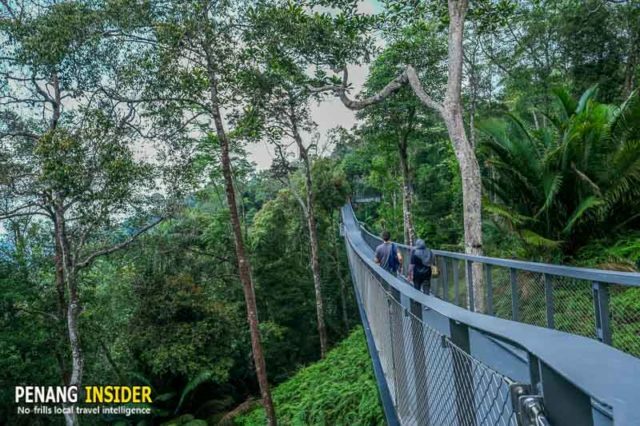 Another perk that sets The Habitat Penang Hill apart from other Penang parks is the new Tree Top Walk, named Curtis Crest. This circular ring soars over the Habitat park’s canopy, granting unparalleled views that stretch on both sides of Penang hill. Whether you prefer seeing a slice of George Town jutting into the Straits Sea, or take a peek at the plains of Kedah dominated by pointy Gunung Jerai, you can just keep walking and enjoying the views from Penang’s highest man-made platform. 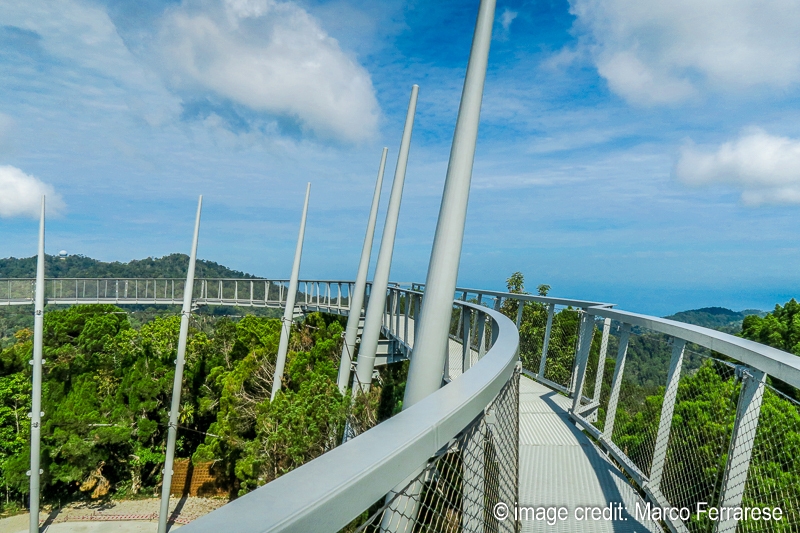 It took a while to complete, but the Langur Way, the Habitat Penang Hill’s canopy walkway, is finally ready. It’s a sleek concrete and metal wire-made suspended bridge, 230mt long, that skirts the Habitat’s main walking trail, passing above a deep valley filled with ancient ferns and tall trees. A walk here allows guests to truly feel the rainforest environment all around them, and maybe, if lucky, spot some of the langurs who gave this bridge its name. The structure has been built with accessibility in mind: it is made in water-absorbing concrete, so it doesn’t get slippery — not even in a downpour — and is totally wheelchair accessible. A great place to explore, which gives unparalleled views over a side of Penang Hill boasting some of its best natural views. 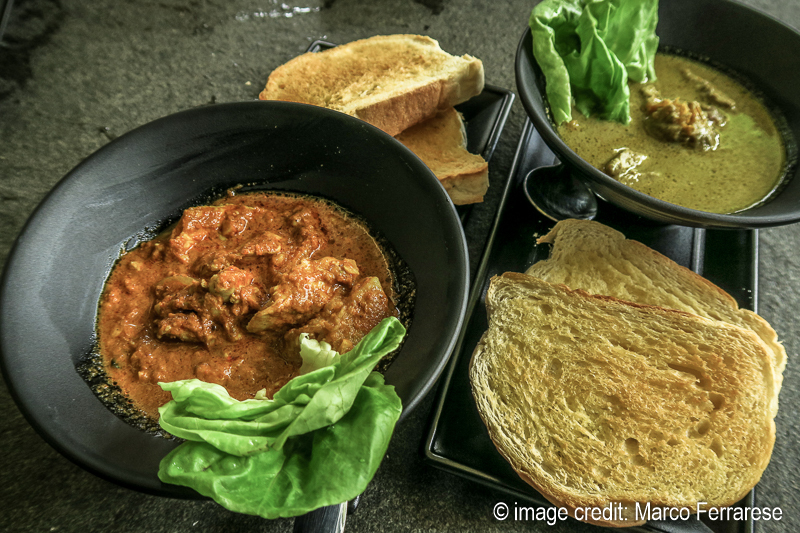 Curry Capitan Chicken and Green Curry Chicken… a marriage made in heaven. The latest reason why you want to visit The Habitat Penang Hill is its own forest café, tucked behind the souvenir boutique Shop on the Hill, and set right before the exit path that leads you back to the top of Penang Hill. The ambience is great: a stylish noir décor overlooking a hill slope, filled with trees teeming with birds and monkeys. There’s an attractive rooftop area where a bar with lounge chairs is the perfect spot for sundowners over one of the island’s greenest corners. And don’t forget the food and drinks: besides mean brews and cappuccinos, the forte here are the ciabatta sandwiches, bagels smeared with melted cheese and garnished with egg or chicken, and of course, the tangy curries. The Green Curry Chicken (19.9RM) goes down well and appeals to all tastes, while the Curry Capitan Chicken (19.9RM) is more zesty and punchy. Trust me: you won’t resist scooping up your bowl with the toasted bread it comes with.